Home» tips and tricks» Can someone Hack my Phone by Texting/messaging me? Can someone Hack my Phone by Texting/messaging me? 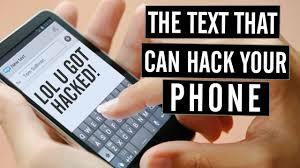 It is possible to hack your Phone by just texting you. All hacker need to hack your phone is your Cell number. If you have received a text message & that message contain any spam link or any spam app or file attachment, then that spam file can create a great damage to your phone, like it might have trojans, malware, that will enter into your phone & will remotely pass the control of your phone to the hacker. Also Learn: Can someone hack my phone by calling me? If your phone has received a text & that has got a link & you have access that link or downloaded some app from that link, then you must confirm it whether that text was from some trusted source or from some hacker? If it was not from the trusted source, then that downloaded app might be a virus, or a trojan, or a malware, that will monitor all the activities on your phone & will transfer them to someone else. That app can also transfer the control of your phone to the hacker. How to tell if your Cell phone has been hacked? The special thing about trojans is that they seem to be the useful app for your Android phone but in reality, they keep on transferring your data to the other person. Also they effect the speed & optimization of your phone. You must install a good Antivirus that could analyze the incoming messages & scan them for Antivirus. You can select Antivirus from our website. 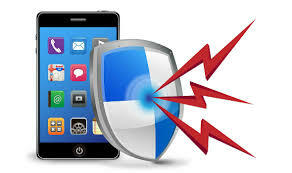 You can study some of the security measures which will help you to enhance your phone protection & security.Some of the security measure are listed below which can be in detail studied at Can someone hack my phone & read my text messages? - Use a good Antivirus with latest updates. - Update your Android phone regularly. - Do not open any spam link. - Use applocker to lock your phone under a strong password. Can someone Hack my Phone by calling me/you? How to tell if your iphone is Hacked?